Are you searching for a new ERP or business management platform? At m-hance we’re strong advocates for Microsoft Dynamics GP. We think it’s a great choice because its functionality comes ‘out-of-the-box’ so there’s no need for expensive upgrades. It supports your business to grow, and then grows as your business does. Not only that, it has a familiar look and feel to it, assuming you’ve used Microsoft Office before. So it’s easy to use. In fact, if you’re already using Microsoft Office, you’ll love the way it integrates with your other Microsoft applications. With Microsoft Dynamics GP you can enjoy a new, intuitive way of working for years to come. If you already use Microsoft Dynamics GP and are looking to become Making Tax Digital for VAT compliant before the April or October 2019 deadlines, we have a solution for you – simply click here to read more. We are the biggest Dynamics GP provider in Europe. 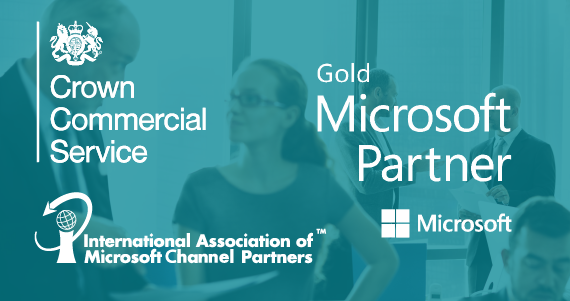 We have a dedicated Dynamics GP Support Team of over 20 Dynamics GP specialists – the only Microsoft partner to do so. Our team of experts have worked on Dynamics GP projects of all types and sizes and are well equipped with the knowledge and expertise to handle any support query. But that’s not all. We also have a dedicated GP Project Management Office and have Sales and Pre-Sales staff aligned specifically to Dynamics GP – all of which are dedicated to you and your project. And that’s what really sets us apart. What’s more, we have a customer satisfaction score in excess of 97%, and we meet 100% of our support SLA agreement. You can count on Microsoft Dynamics GP and you can count on us, now and in the future. Click here if you need Microsoft Dynamics GP support. Dynamics GP is a Microsoft solution. So, as you would expect, it works in complete harmony with Office 365, Excel, Outlook and every other Microsoft programme that your team uses. That means little training is required from the outset and that your staff can get on with their day-to-day tasks in no time at all. Microsoft Dynamics GP has two-way integration capabilities removing the need to re-key information from third party software such as payroll, BACS membership and CRM software. Wherever your team travels to, wherever your meeting’s held, you can access financial information on the go by using Dynamics GP Web Client. More than just small business accounting software, Dynamics GP’s functionality is fully scalable, which makes it easy to start with only what you need now, and then adapt as your needs change. It’s flexible, configurable, and designed to grow with you. Microsoft Dynamics GP easily meets your unique supply chain requirements without added complexity. With Dynamics GP, you gain better insight into your supply chain, as well as eliminating supply chain bottlenecks, increasing order accuracy and reducing costs. Access to the most up-to-date financial data when you need it to give you the full picture and to track performance and act with insight. Because what’s happening now, informs tomorrow. Provide your team with role-based, personalised dashboards, so that they have clear visibility of the information that’s important to them. Gain efficiencies, automate key business processes, increase staff productivity and drive accuracy with Microsoft Dynamics GP’s flexible, built-in workflow. Our guided tours of Microsoft Dynamics GP are ideal for when you have unanswered questions about your next ERP solution or have seen countless product videos but haven’t seen one used in the flesh. Complete the form and a member of our team will be in touch to arrange a tour with a software expert with industry experience within your sector.